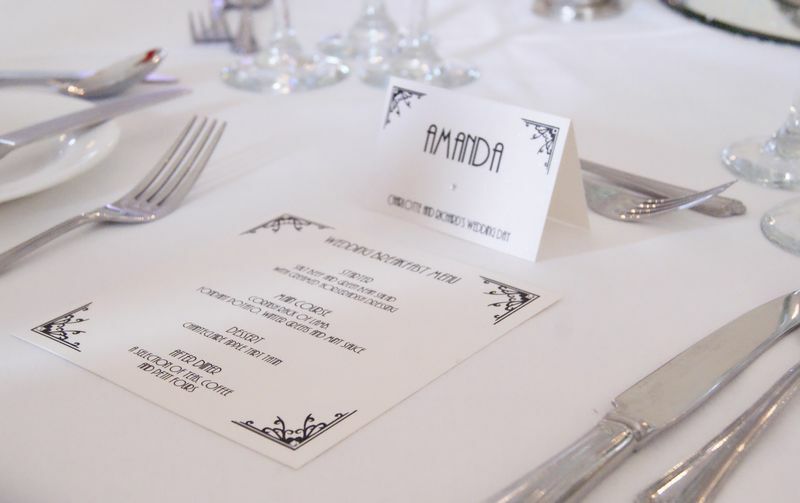 Separate menus and place cards are available in a choice of whites and ivory cards and 1000’s of fonts to choose from (we work very closely with you to ensure the font is right). 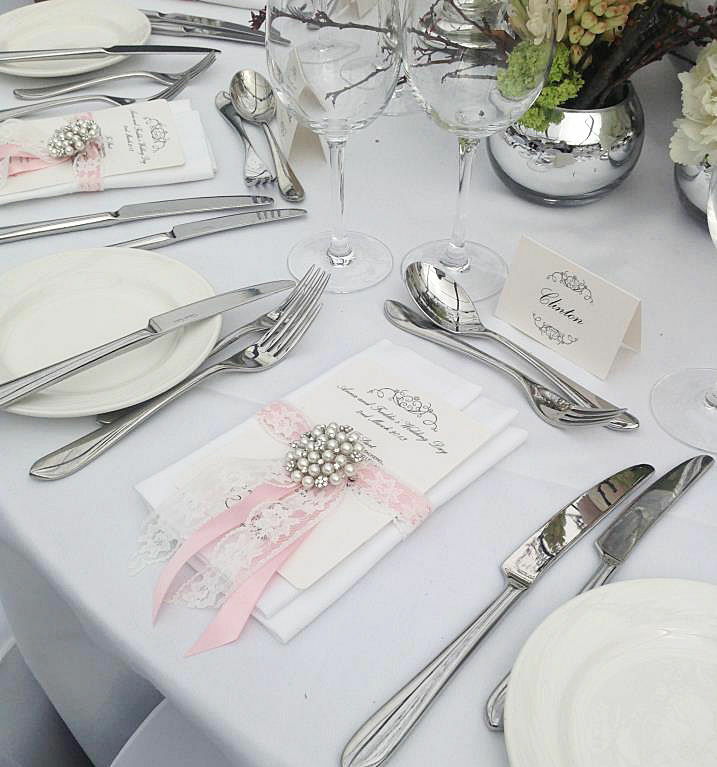 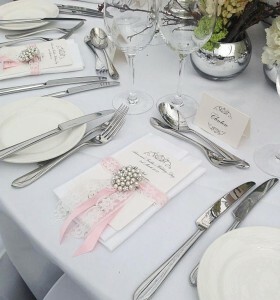 Separate menus and place cards can be finished with crystals or pearls or ribbons or just plain print. 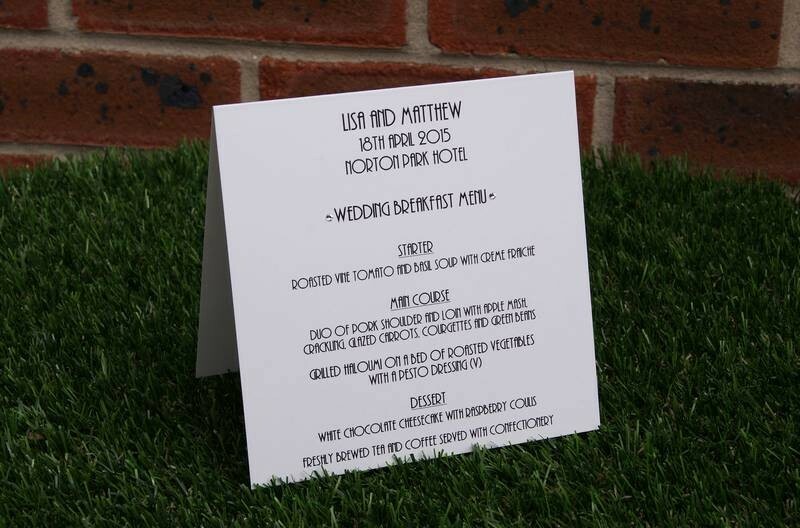 This is not the extent of our work and we can make something to your requirements, so please do not hesitate to contact Joanne to discuss any of your ideas! Flat Menus to match place cards, individually printed .